Car seats do not always prevent brain injury. If your child has been injured in a T-Bone collision, our team of St. Louis car accident lawyers can help. 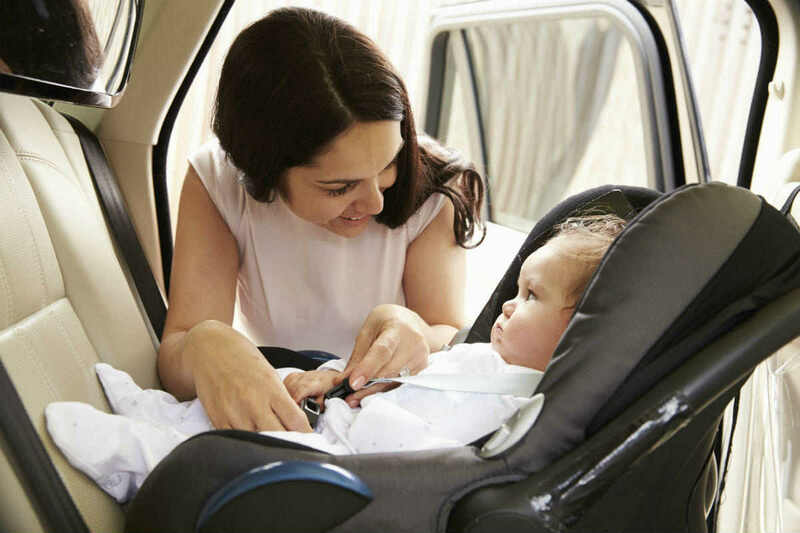 Parents generally take every possible precaution when taking their baby out in the car. Their small child is hopefully belted securely into a specialized seat that is also belted into the back seat of their vehicle. They believe that in the event of a car accident, this special seat will keep their baby free from injury. Unfortunately, new studies show that certain types of crashes will still likely result injuries to small children, even when he or she is safely buckled up. Our legal team can help you if your child was hurt in one of these car accidents. Call us today at (314) 361-4242 and make an appointment to speak with one of our St. Louis car accident lawyers. Young victims of negligent actions need their parents to speak up on their behalf. Car seat safety is governed by the federal government and the National Highway Traffic Safety Administration. Certain standards must be met for car seats sold in the US to help protect the safety of our children. Now for the first time, the federal government is proposing changes to car seat safety standards that would mandate they be made to protect a child in a side impact collision. The center for disease control estimates that the use of a car seat can reduce the risk of death for an infant by 71% and 54% for toddlers. T-bone collisions are a large reason why those numbers are not closer to 100%. A T-bone crash or side collision is when the impact of a crash is at the side doors of a vehicle creating a t shape. These types of accidents are typically life threatening even for adults who don’t have the protection of the front or back end of the car that is offered in head on and rear end collisions. The proposed changes to car seat safety will also include more stringent testing methods. Instead of being tested while inside of a vehicle, the car seats will be subject to a T-bone accident simulation while inside of an unprotected sled. This is designed to make sure that car seat manufacturers take every possible precaution when designing the new car seats. The hope is that these new car seats and safety testing procedures will save the lives of at least five children each year and stop another 64 from being severely injured. Even though car seats are meant to save the lives of our children, some studies show that over half are being installed incorrectly. This will have a devastating impact on a child if the vehicle they are riding in is involved in a car accident. As parents, we make it a point to select items for our children that will keep them free from harm. Unfortunately that does not always happen. If your child was injured in car crash recently, come in and speak with our St. Louis car accident lawyers. The injuries to your child may require years of care to recover from. We can help you by working to secure that care with the compensation you receive from a lawsuit.